RADIO: 670 The Score. Chuck Swirsky, Bill Wennington, Steve Kashul. LEADING SCORERS: Bulls: LaVine: 23ppg. Toronto: Leonard: 27ppg. LEADING REBOUNDERS: Bulls: Markkanen: 9 per. Toronto: Ibaka: 8per. LEADING ASSISTS: Bulls: Dunn: 6 per. Toronto: Lowry: 9 per. 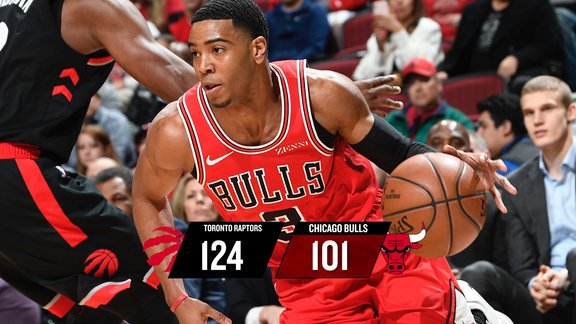 The Bulls meet the Raps twice in a three game span as they take on a Toronto team coming off a brutal end of game defeat to Charlotte on Sunday on a Jeremy Lamb 47 footer at the buzzer. The Raps are locked in to the second seed and it's all or nothing for this franchise as they aim for their first Eastern Conference title. The Raps have overseen Kawhi Leonard's load management to the point he's played in only 54 of 74 games. When he's on the floor he is one of the top players in the NBA. No one can deny his growth as an offensive player nor what he does on the defensive end. He's averaging a career high 27 points per game. His length and defensive mentality create issues for any offensive player. Will he play tonight? Or Saturday? Who knows? This isn't about the last two weeks of the season. It's about April 13. Pascal Siakam is in the running for Most Improved Player and with good reason. Siakam has played in all but one game averaging a career high nearly 17 points per game and nearly seven rebounds per contest. Last season, Siakam averaged seven points and four rebounds. His shooting has improved four percentage points and nearly 14 percentage points better from three point range. He has an incredibly high motor. He has a tremendous upside , one that will merit a big pay somewhere down the line. Zach LaVine and Otto Porter Jr. are out. Kris Dunn is doubtful. The Bulls are in the first of a back to back as they host Portland tomorrow. Portland 148 Brooklyn 144. Horrible news for the Blazers as they move forward: Jusuf Nurkic suffered compound fractures of his lower left leg. Nurkic was having a fantastic year. This is a devastating loss for Portland as they head in to the playoffs in two weeks. The Blazers are in Chicago Wednesday. Orlando 119 Philadelphia 98. Orlando's Michael Carter-Williams,remember him? MCW with a nice 15-6-3 game off the bench. 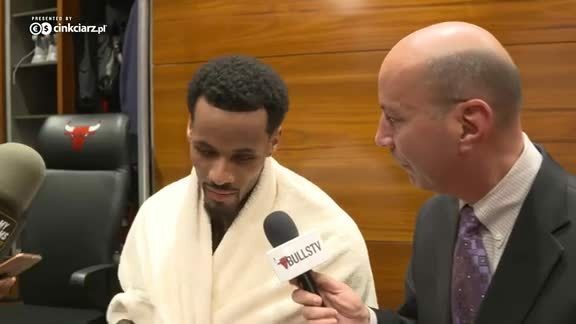 Evan Fournier scored 24 points. Nikola Vucevic had 28-11. The Magic have won five straight. They trail eight seed Miami by only a half-game. The two teams play tonight. In Miami. Philly's Joel Embiid recorded his 17th double-double and 55th on the season. Utah 125 Phoenix 92. Devin Booker scored 59 points but his team lost by 33. Utah's Rudy Gobert can dunk! His 275 dunks in a single season is an NBA record - a stat first recorded in 2000. Memphis 115 Oklahoma City 103. Bruno Caboclo had a career-high 24 points. The Grizzlies have won five home games in March, four against Western Conference playoff teams.